Home / Opinion / NY University Alumna on Robredo's revisor outing with PET: "Robredo and her ilk popularized the culture of shamelessness"
NY University Alumna on Robredo's revisor outing with PET: "Robredo and her ilk popularized the culture of shamelessness"
In her recent post, New York University alumna and social media personality Krizette Laureta Chu slammed Vice President Leni Robredo, calling her shameless. 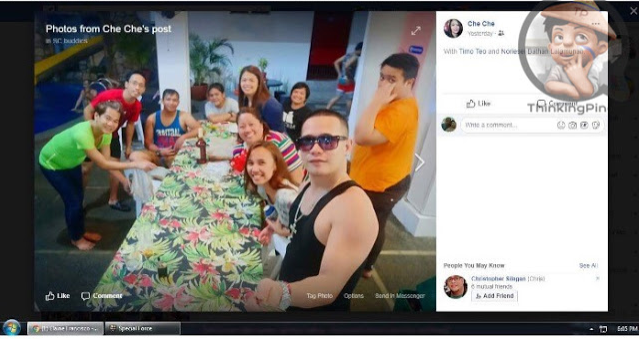 This Facebook post from Chu came after the controversial and viral photo showing Robredo’s revisor together with Supreme Court-Presidential Electoral Tribunal (SC PET) employees went to Pansol resort in Laguna for an outing. If Duterte popularized the culture of violence, Robredo and her ilk popularized the culture of shamelessness. There's no one word for her glaring lack of delicadeza, her kakapalan, her utter lack of scruples. If this happened in another country, Leni would be forced to give up her seat if she had any modicum of shame and decency in her. It's like the defendant treating the jury out for lunch. YOU ARENT EVEN ALLOWED TO TALK TO THE JURY AND LENI ROBREDO'S GROUP HAD A HOLIDAY WITH THEM. HAVE YOU NO SHAME NOR DECENCY, MADAM VP? Paulit ulit. Going around the UN spreading lies. Being caught spreading misinformation. Claiming Coke trucks as her own. Yadda yadda yadda. And now this! Shameless, shameless! Culture of kawalanghiyaan! Robredo and Marcos, the devil and the deep blue sea! PET revisors are Supreme Court employees tasked on verifying the contents of the ballot boxes in the on going recount for vice presidential seat protested by former Senator Ferdinand “Bongbong” Marcos against Vice-president Maria Leonor “Leni” Robredo. According to an article posted by Thinking Pinoy also known as RJ Nieto, a source said that the alleged Pansol outing took place on June 22, 2018. Considering it was a conflict of interest, PET employees should have not socialized with any party in which they have a pending case with.